heat 1 tbsp oil in a wok . add mustard seeds, cumin seeds, aniseeds and chopped onions in the oil. when onions r done ,remove wok from gas n let it cool down. mix cauliflower , potatoes , tharka which we prepared, maida and salt. 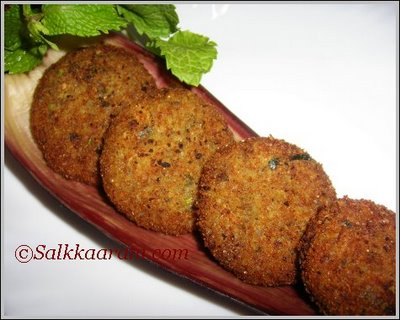 make cutlets of u r desired shape and fry them. Thanks Swati for this nice and easy recipe.